Tradewell Ferromet Pvt Ltd can provide Cold Forged & Hot Forged TVS Fasteners / Non Standard TVS Fasteners with complete material compliance. - We stock a wide range of quality TVS Fasteners such as high tensile bolts & nuts, washers, studs, pins, galvanized & gun metal pipe fittings and steamed pipe fittings. - The industrial metal fasteners offered by us are known for their quality, sturdiness, durability and performance. we are supplying a wide range of TVS Bolt Nut. Our extraordinary company is involved in presenting a comprehensive range of TVS Fasteners. This product is urbanized with the aid of finest-grade material along with extremely up-to-date methods in tandem to set industrial procedures. In addition to this, offered product by us can also be availed in copious improved options. We are the leading trader of TVS Fasteners. We offer corrosion resistant and reliable product to our patrons. Our product is robustly constructed by our experts. In addition, our product is available at industry leading prices and in varied sizes. These TVS Fasteners are easy to use and install. 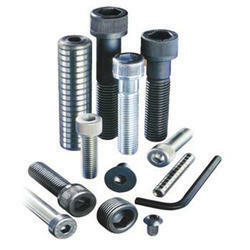 We are glad to inform you that we are already catering to fastener's need in South India. 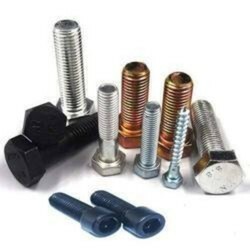 We would appreciate if you could send your valuable inquiries for fasteners for us to quote you the best & giving the best service to you always. We Are Authorised Distributor of High Tensile TVS Fasteners, TVS Fasteners produces the complete range of standard and special fasteners. High Tensile Fasteners are produced in four state-of-the-art manufacturing facilities across the globe.